The architectural features of the three glands in the center are suspicious for cancer; however, the focus is small and there is insufficient cytologic support for a definitive diagnosis of malignancy. 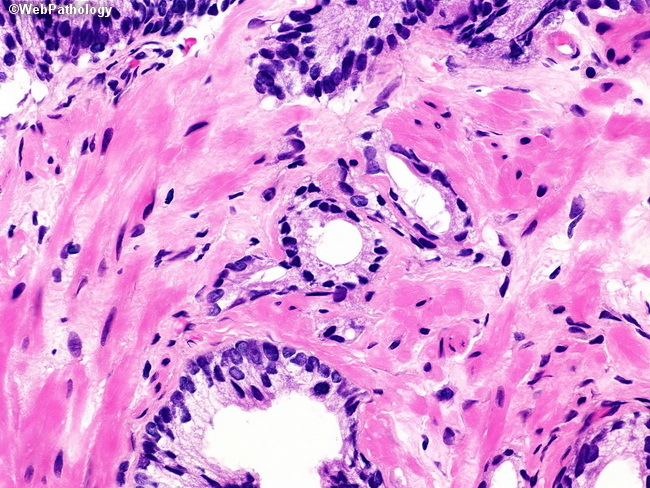 In such cases, we routinely obtain deeper levels and perform immunohistochemistry with PIN4 cocktail (CK5/14, p63, AMACR). In some instances, outside consultation is also obtained.